Home / Band Aid 30 / Bob Geldof / Bono of U2 / Disclosure / Do They Know It’s Christmas / Ed Sheeran / Ellie Goulding / Music / One Direction / Paloma Faith / Rita Ora / Sam Smith / Sinead O’ Connor / Video / Band Aid 30 - Do They Know It’s Christmas? (2014) What’s The Fuss? 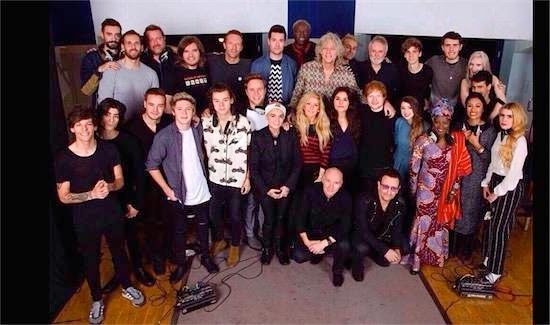 Band Aid 30 - Do They Know It’s Christmas? (2014) What’s The Fuss? In 1984, Bob Geldof, former frontman of Midge Ure (a famous British Band during the 80’s) organized Band Aid as a fund raising activity to help solve hunger in Africa. Popular singers and bands contributed their vocal talent to the song “Do They Know It’s Christmas.” The song exceeded expectations as it went on to hit number one in UK charts and raised millions dollars for charity and inspired US singers and bands to organize USA For Africa. From Band Aid, the effort continued to Live Aid which is a gathering of international pop superstars to sing for a cause and generate more money to feed Africa. It was so successful that the same efforts were staged again in 2005 and was known as Live 8 to further help Africa and save from poverty. Now, Africa is in the news again because of the Ebola virus and Bob Geldof resurrected the song and this time, it is known as Band Aid 30. The number 30 was appended to signify the 30th anniversary of the song “Do They Know It’s Christmas." Among the current crop of artists who contributed their vocal talents are One Direction, Bono of U2, Paloma Faith, Ellie Goulding, Disclosure, Sinead O’ Connor, Rita Ora, Sam Smith, and Ed Sheeran just to name a few. And Band Aid 30, received lukewarm welcome from many people criticizing the effort as worthless and only panders the ego of Bob Geldof. 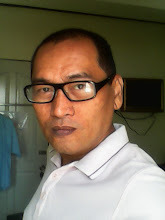 Some singers lambasted the song as the lyrics were ridiculous just to make it appear relevant to the Ebola virus crisis. There were some changes in the original lyrics to make it appear relevant with the advocacy the song is intended for. For example, in the 1984 version there was a line that goes like “And it's a world of dread and fear, where the only water flowing is the bitter sting of tears” and, the Band Aid 30 version changed it to “Where a kiss of love can kill you, and there's death in every tear.” These words alone sound ridiculous to those who remain loyal to the original lyrics. Some of the performers who were involved with Band Aid 30 opined that they need a brand new song, not a rework of the old song. The remark prompted Sinead O’ Conner to reply that it is ironical that some performers willingly volunteered their talent but criticized the song and she told them to shut up with the “F” word included in her message. The Band Aid 30 single sold more than 300 thousand downloads on its initial week of release and is already beating the 1984 version which initially sold more than 200 copies on its first week. The video of the song has already garnered up more than 3 million views in less than a month. These figures suggest that many fans do not care about the changes in the lyrics and they just want to do their own share of solving the Ebola virus problem in Africa even in music.